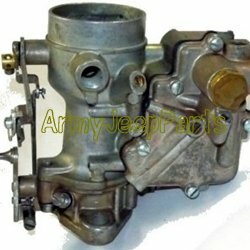 Carburetor, rebuilt, (AJPs shop) All are wet tested and fully guaranteed. All linkages are replated including a reparkerized cast base. All carbs are sold on an exchange basis and for the same type model. A core charge of will be billed up front but will be refunded once an equal model core has been received.